© Pablo Blazquez Dominguez/Getty Images File photo of Saudi Arabia Crown Prince Mohammed bin Salman during a ceremony at Moncloa Palace on April 12, 2018 in Madrid, Spain. U.S. Treasury Secretary Steven Mnuchin met with Saudi Arabia’s Crown Prince Mohammed bin Salman on Monday, according to the Saudi government, illustrating how the White House is retaining close ties with the embattled Middle Eastern leader despite a growing international outcry. Mnuchin last week announced he was withdrawing from a conference in Saudi Arabia this week, amid the international backlash following the killing of Washington Post contributing columnist Jamal Khashoggi. Khashoggi died at the Saudi consulate in Turkey earlier this month, though the Saudi Arabian government has given conflicting reports on how he died. Tony Sayegh, Mnuchin’s top spokesman, said the two men discussed the Khashoggi investigation, the implementation of sanctions against Iran, the Saudi economy, and combating the financing of terrorism. Still, Treasury was reluctant to comment on the meeting, which had not be previewed in advance. Bruce Riedel, a former senior Central Intelligence Agency official who is now head of the Intelligence Project at the Brookings Institution, said the meeting between the Crown Prince and Mnuchin is a way for Saudi officials to send a statement to the U.S. that they cannot be ignored and won’t be cowed by any investigation into Khashoggi’s death. During the trip to the Middle East, Mnuchin has posted multiple photographs of his meetings with leaders from Israel and Jordan. But he did not post any photograph or statement about meeting with the Crown Prince. President Trump has sought to tamp down growing criticism of the Saudi royal family in the wake of Khashoggi’s death, but he’s under growing pressure from Republicans in Congress to respond. Even though Mnuchin said he wouldn’t attend a financial conference in Riyadh, he decided he would still travel to Saudi Arabia this week for other meetings. 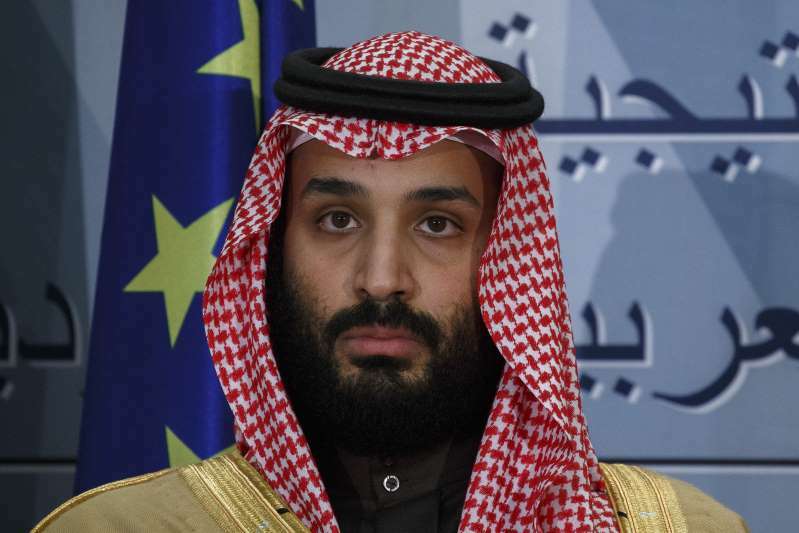 He was scheduled meet with his Middle Eastern counterparts to discuss ways to combat terror financing, but he did not announce in advance that he would be meeting with the Crown Prince. Mnuchin’s meeting with the Crown Prince comes just two weeks after Secretary of State Mike Pompeo also traveled to Riyadh to meet with the Crown Prince. Trump has sought to shield the Crown Prince from the backlash over Khashoggi’s death, saying the Royal family claimed they had no knowledge of what might have been a rogue operation at the consulate. Trump has also said he didn’t want this to potentially spoil the close economic ties between the U.S. and Saudi Arabia, particularly Saudi Arabia’s commitment to buy arms from U.S. companies.